Department Chair, 2008-2013. Adminstered the state-wide research and extension programs in plant pathology and the plant pathology graduate program (M.S. and Ph.D). Viruses and Virus Diseases of Horticultural Crops. Biology and molecular biology of members of the following virus groups: thrips-transmitted tospoviruses (Bunyaviridae), plant pararetroviruses (Caulimoviridae), potyviruses (Potyviridae), and potex and carlaviruses (Flexiviridae). Crops include vegetables, nursery/landscape/ornamentals, and legumes. Genomics and proteomcis of DNA and RNA viruses pathogenic to horticultural crops. Molecular characterization, gene structure-function relationships (Pappu et al. PNAS 90:36410; virus-host and virus-virus interactions (Mitter et al., 2013. PLoS ONE; Eid et al., 2013. Virus Genes; Bag et al., 2012. PLoS ONE) molecular evolutionary studies using viral genes as markers for attribution (Almeyda et al.,, 2013. Virus Genes; Pappu et al. Arch. Virol. 151: 1015); identification and development of novel promoters from plant pararetroviruses for expression of foreign genes in plants; molecular studies on plant pararetroviruses that exist as integrants in the host plant genome (Pahalawatta et al., Virology 376: 253-257) and use of RNA and DNA viruses of plants as tools for studying virus-host and virus-vector interactions. Molecular and biotechnological approaches for characterization and control of viral diseases of horticultral crops. Genomics, proteomics, molecular epidemiology, conventional and transgenic resistance, virus detection and diagnosis, and host-virus interactions. Environmental impact assessments, and regulatory framework for transgenic plants/GM crops; impact of plant biotechnology on society; adoption trends of plant biotechnology in the US and other parts of the world. Several ongoing international collaborative projects with scientists in Australia, Azerbaijan, Canada, Chile, Czech Republic, Egypt, France, India, Indonesia, Italy, Kenya, Lithuania, Mauritius, Mexico, the Netherlands, New Zealand, Pakistan, Peru and Turkey on tospoviruses of vegetables and legumes, and viruses of nursery, landscape, and ornamentals. Secretary, International Working Group on Viruses of Vegetables and Legumes(2011-2014). International Scientific Program Planning Committee, X International Symposium on Thysanoptera and Tospoviruses, Monterey, CA, USA, May 2015. Patron, 12th International Plant Virus Epidemiology Symposium, Arusha, Tanzania. January 28-31, 2013. Multistate Research Committee: W-1008. “Biology and Management of Iris yellow spot virus and Thrips in Onions” Secretary (2009); Vice-Chair (2010); and Chair (2011). Multistate Project, WERA-89 Potato Virus Disease Control- Secretary (2004); Vice-Chair (2005) and Chair (2006). Pappu, H.R., K. Druffel, and K. Pike 2007. Materials and methods for broad spectrum detection of Barley yellow dwarf serotypes infecting wheat, barley and corn. WSU Research Foundation, Office of Intellectual Property Administration. Pappu, H.R. and K. Druffel. 2007. A genus-wide molecular test for broad spectrum detection of members of the genus Caulimovirus. WSU Research Foundation, Office of Intellectual Property Administration. Pappu, H.R., K. Druffel and L.J. du Toit. 2006. An ELISA-based diagnostic assay for Iris yellow spot virus infection. Methods and materials for a rapid, sensitive, and specific detection of Iris yellow spot virus. WSU Research Foundation, Office of Intellectual Property Administration. Pappu, H.R., S.D. Wyatt, and K. Druffel. 2004. A Real Time Molecular Assay for the Detection of Dahlia mosaic virus (DMV). Methods and materials for rapid, highly sensitive, and specific detection of DMV. WSU Research Foundation, Office of Intellectual Property Administration. Ciuffo, M., P. Margaria, L. Miozzi, H. Pappu, R. Resende and M. Turina (2014). Abundant host specific accumulation of head-to-tail dimers and/or defective dimers of the small genomic segment in members of the genus Tospovirus, family Bunyaviridae. Intl. Congress of Virology, Montreal, July 2014. Sankaran, S., H.R. Pappu, and C.R. Brown (2014). Computer tomography (CT) imaging for detecting anomalies in potato tubers. Annual Meeting, American Association of Agricultural and Biological Engineers. July 13-16, 2014, Montreal, QC Canada. Jain, R.K., B. Mandal, H R Pappu and S.K. Holkar. 2014. Watermelon bud necrosis virus: A new species in the genus Tospovirus isolated from Citrullus lanatus and other cucurbitaceous hosts. International Committee for Taxonomy of Viruses. In press. Pappu, H.R. 2013. Viruses. In: Onion Health Management & Production. Onion IPMpipe. Edited by Howard Schwartz. 98pp. Colorado State University, Ft. Collins, CO.
Mandal, B., R. K. Jain, M. Krishnareddy, N.K. 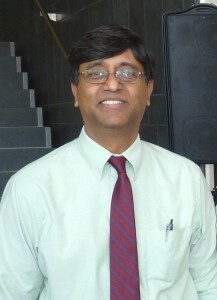 Krishna Kumar, K.S. Ravi, and H. R. Pappu. 2012. Emerging Problems of Tospoviruses (Bunyaviridae) and their Management in the Indian Subcontinent. Plant Disease 96:468-479. Makkouk, K., H.R. Pappu and S.G. Kumari. 2012. Virus Diseases of Peas, Beans and Faba Bean in the Mediterranean Region. Advances in Virus Research 84:367-402. Chastagner, G., G. Hanks, M. Daughtrey, I. Yedidia, T. Miller, and H. Pappu. 2012. Sustainable Production and Integrated Management: Environmental Issues. Pp. 363-420. In: Kamenetsky, R., and H. Okubo (Eds), Ornamental Geophytes: From Basic Science to Sustainable Horticultural Production. Taylor and Francis. 553 pp. Pappu, H.R., R.A.C. Jones, and R.K. Jain. 2009. Global status of tospovirus epidemics in diverse cropping systems: Successes gained and challenges that lie ahead. Virus Research 141:219–236. Pappu, H.R. 2008. Tomato spotted wilt virus (pdf) (Bunyaviridae). In: Encyclopedia of Virology. 3rd edition. Brian Mahy and Marc van Regenmortel (Eds.). Elsevier Ltd, Oxford, UK. pp. 133-138. Gent, D., L.J. du Toit, S.F. Fichtner, S. Krishna Mohan, H.R. Pappu, and H.F. Schwartz. 2006. Iris yellow spot virus: An emerging threat to onion bulb and seed production (pdf). Plant Disease 90:1468-1480. Munyaneza, J.E, J.M. Crosslin, A.S. Jensen, P.B. Hamm, P.E. Thomas, H.R. Pappu and A. Schreiber. 2005. Update on the potato purple top disease in the Columbia Basin (pdf). In: Proceedings, 44th Annual Washington State Potato Conference, 1-3 February 2005, Moses Lake, WA. pp. 57-70.
du Toit, L. J., Pelter, G. Q., and Pappu, H. R. 2004. IYSV challenges to the onion seed industry in Washington (pdf). Pages 103, 213-217 in: Proc. National Allium Res. Conf., Grand Junction, CO. Colorado State University, Fort Collins, CO.
Bertrand, P.F., and H.R. Pappu. 2001. Pecan bunch. In: Compendium of Nut Tree Diseases. American Phytopathological Society Press, St. Paul, MN. Culbreath, A.K., J. W. Todd, S.L. Brown, J.A. Baldwin, and H. R. Pappu. 1999. A genetic and cultural package for management of Tomato spotted wilt virus in peanut. Biological and Cultural Tests 14:1-8. Pappu, H.R. 1999. Biosafety issues of virus-resistant transgenic plants. pp 51-64. In: Biotechnology, Biosafety and Biodiversity: Scientific and Ethical Issues for Sustainable Development. S. Shantharam and J.F. Montgomery (Eds.). Science Publishers, Inc. Keene, NH. Pappu, H.R. and C.L. Niblett. 1995. Application of recombinant DNA technology in plant protection: Molecular approaches to engineering virus resistance in crop plants. World Journal of Microbiology and Biotechnology 11:426-437. Pappu, H.R. 2004. Insect pollinated crops. Pp 35-48, In: Proceedings of the Workshop on Confinement of Genetically Engineered Crops During Field Testing (pdf). USDA-APHIS, Biotechnology Regulatory Services, Riverdale, MD. September 13-14, 2004. Pappu, H.R. 2002. Aventis CropScience: Availability of Environmental Assessment for Extension of Determination of Non-regulated Status of Canola Genetically Engineered for Glufosinate Herbicide Tolerance. Federal Register 67 (41):9431-9432. Vaira, A.M., L. Miozzi, M. Vallino, A. Carra, R. Lenzi, D. Salvi, J. Hammond and H.R. Pappu (2018). Evidence of new viruses infecting freesia hybrids showing necrotic disease. Acta Horticulturae 1193: 21-28. Proc. XIV Int. Symp. on Virus Diseases of Ornamental Plants. Eds. : J. Hammond et al. Senthilraja, C., Renukadevi, P., Malathi, V.G., Nakkeeran, S and Pappu, H.R. (2018). Occurrence of tomato spotted wilt virus infecting snapdragon (Antirrhinum majus) in India. Plant Disease 102:1676. Krupovic, M., J. Blomberg, J.M. Coffin, I. Dasgupta, H. Fan5, A.D. Geering, R. Gifford, B. Harrach, R. Hull, W. Johnson, J.F. Kreuze, D. Lindemann, C. Llorens, B. Lockhart, J. Mayer, E. Muller, N. Olszewski, H.R. Pappu, M. Pooggin, K. Richert-Pöggeler, S. Sabanadzovic, H. Sanfaçon, J.E. Schoelz, S. Seal, L. Stavolone, J.P. Stoye, P. Teycheney, M. Tristem, E.V. Koonin, and J.H. Kuhn (2018). Ortervirales: A new viral order unifying five families of reverse-transcribing viruses. Journal of Virology 92:e00515-18. https://doi.org/10.1128/JVI.00515-18. Ramesh, S.V., S. Williams, N. Mitter and H.R. Pappu (2017). Transcriptome-wide Identification of host genes targeted by Tomato spotted wilt virus (TSWV)-derived small interfering RNAs in TSWV-resistant and susceptible tomato cultivars. Virus Research 238:13–23. Olaya, C., N. Velásquez, M. Betancourt, W. J. Cuellar, and H.R. Pappu (2017). First Report of natural infection of tomato (Solanum lycopersicum L.) and bell pepper (Capsicum annuum) by Alstroemeria necrotic streak virus in Colombia. Plant Disease 101:1065. Mitter, N., Y. Zhai, A.X. Bai, K. Chua, S. Eid, M. Constantin, R. Mitchell, and H.R. Pappu (2016). Evaluation and Identification of candidate genes for artificial microRNA-mediated resistance to Tomato spotted wilt virus(Tospovirus: Bunyavirdae). Virus Research 211:151-158. Wang, J., Y. Zhai, W. Liu, D. Zhu, H.R. Pappu, and Q. Liu (2016). The complete genomic characterization of plum bark necrosis stem pitting-associated virus(PBNSPaV) infecting sweet cherry in China. Genome Announcements. 2016 May 19;4(3). pii: e00413-16. doi: 10.1128/genomeA.00413-16. Margaria, P., L. Miozzi, C. Rosa, M.J. Axtell, H.R. Pappu, M. Turina (2015). Small RNA profiles of wild-type and silencing suppressor-deficient tomato spotted wilt virus-infected Nicotiana benthamiana. Virus Research. DOI: 10.1016/j.virusres.2015.05.021. Kusia, E.S., S. Subramanian, J.O Nyasani, F. Khamis, J. Villinger, E.M. Ateka, H.R. Pappu (2015). First report of lethal necrosis disease associated with co-infection of finger millet with Maize chlorotic mottle virus and Sugarcane mosaic virus in Kenya. Plant Disease 99:899. Cramer, C., N. Singh, N. Kamal, and H.R. Pappu 2014. Screening onion plant introduction accessions for tolerance to onion thrips and Iris yellow spot virus. HortScience 49:1253-1261. Lin, Y-H., D. A. Johnson, and H.R. Pappu. 2014. Effect of Potato virus Sinfection on late blight (Phytophtora infestans) in potato (Solanum tuberosum). Amer. J. of Potato Research. DOI 10.1007/s12230-014-9394-8. Naveed, K., N. Mitter, A. Dhingra, and H.R. Pappu. 2014. Comparative Analysis of virus-specific small RNA profiles of three biologically distinct strains of Potato virus Y (PVY) in PVY-infected potato (Solanum tuberosum) cv. Russet Burbank. Virus Research 191:153–160. Sundaraj, S., R. Srinivasan, A.K. Culbreath, D.G. Riley, and H.R. Pappu. 2014. Host plant resistance against Tomato spotted wilt virus (Tospovirus:Bunyaviridae) in peanut (Arachis hypogaea) and its impact on virus transmission, virus population genetics, and vector feeding behavior and survival. Phytopathology 104:202-210. Vemulapati, B., K.L. Druffel, D. Husebye, S.D. Eigenbrode and H.R. Pappu. 2014. Development and application of ELISA assays for the detection of two members of the family Luteoviridae: Pea enation mosaic virus (genus Enamovirus) and Bean leafroll virus (genus Luteovirus). Annals of Applied Biology 165:130-136. Kalischuk, M., B. Müller, A. Fusaro, D. Prüfer, P.M. Waterhouse, H.R. Pappu, and L.M. Kawchuk. 2013. Complete genomic sequence of a Rubus yellow net virus isolate and detection of genome-wide pararetrovirus-derived small RNAs. Virus Research 178:306–313. Pappu, H.R., and A. Rauf. 2013. First report of Iris yellow spot virus (Tospovirus:Bunyaviridae) in Indonesia. Plant Disease 97:1665. Bag, S., N. Mitter, S. Eid., and H.R. Pappu. 2012. Genetic complementation between two tospoviruses facilitates the systemic movement of a plant virus silencing suppressor in an otherwise restrictive host. PLoS ONE http://dx.plos.org/10.1371/journal.pone.0044803. Naveed, K., and H. R. Pappu, 2012. Susceptibility of Arabidopsis ecotypes to infection by Iris yellow spot virus (Genus Tospovirus, family Bunyaviridae). Plant Health Progress. doi:10.1094/PHP-2012-0714-01-RS. Published on-line 14 July 2012. 2012-0826-01-BR. Published on-line August 26, 2012. Srinivasan, R., S. Sundaraj, H.R. Pappu, S. Diffie, D.G. Riley, and R.D Gitaitis. 2012. Transmission of Iris yellow spot virus by Frankliniella fusca and Thrips tabaci (Thysanoptera: Thripidae). Journal of Economic Entomology 105:40-47. Srinivasan, R., S. Diffie, S. Sundaraj, S. Mullis, D.G. Riley, R.D. Gitaitis, and H. R. Pappu. 2011. Evaluation of lisianthus (Eustoma grandiflorum) as an indicator host for Iris yellow spot virus. Plant Disease 95:1520-1527. Vemulapati, B., K.L. Druffel, S.D. Eigenbrode, A. Karasev and H.R. Pappu.2011. Genomic characterization of Pea enation mosaic virus-2 from the Pacific Northwestern USA. Archives of Virology 156: 1897-1900. Miglino, R., K. L. Druffel, A. R. van Schadewijk, H. R. Pappu. 2011. Molecular characterization of “Allium virus X”, a new potexvirus in the family Flexiviridae, infecting ornamental allium. Archives of Virology 156:2113–2115. Cramer, C.S., S. Bag, H.F. Schwartz, and H.R. Pappu. 2011. Susceptibility of onion (Allium spp) relatives to Iris yellow spot virus. Plant Disease 95:1319. Lobin, K., A. Saison; B. Hostachy, S.P. Benimadhu, and H.R. Pappu. 2010. First report of Iris yellow spot virus in onion in Mauritius. Plant Disease 94: 1373. DOI: 10.1094/PDIS-10-09-0645. Abdel-Salam, sA.M., M. Al Khazindar, S.G. Eid, and H.R. Pappu. 2010. Identification and characterization of caulimoviral sequences in Dahlia variabilis in Egypt. African J Biotechnology 9: 6835-6839. Miglino, R., K. L. Druffel, and H. R. Pappu. 2010. Identification and molecular characterization of a new potyvirus infecting Triteleia species. Archives of Virology 155:441–443. Lobin, K., K.L. Druffel, H. R. Pappu, and S.P. Benimadhu. 2010. First report of Tomato yellow leaf curl virus (Family Geminiviridae) in tomato in Mauritius. Plant Disease 94: 1261. Bag, S., K.L. Druffel and H.R. Pappu. 2010. Structure and genome organization of the large RNA of Iris yellow spot virus (genus Tospovirus, family Bunyaviridae). Archives of Virology 155:275–279 (DOI 10.1007/s00705-009-0568-5). Sengoda, V.S., J.E. Munyaneza, J.M. Crosslin, J.L. Buchman, and H.R. Pappu. 2010. Phenotypic and etiological differences between psyllid yellows and zebra chip diseases of potato. American Journal of Potato Research 87:41–49 (DOI 10.1007/s12230-009-9115-x). Eid, S., K.L. Druffel, D. Saar, and H.R. Pappu, 2009. Incidence of multiple and distinct species of caulimoviruses in dahlia (Dahlia variabilis). HortScience44:1498–1500. Murray, T.D., H.R. Pappu, and R.W. Smiley. 2009. First report of Soilborne wheat mosaic virus on Triticum aestivum in Washington State. Plant Health Progress. doi:10.1094/PHP-2009-1204-01-BR. Lin, Y-H., K.L. Druffel, J. Whitworth, M.J. Pavek, and H.R. Pappu. 2009. Molecular characterization of two Potato Virus S isolates from late blight resistant genotypes of potato (Solanum tuberosum). Archives of Virology 154:1861-1863. DOI 10.1007/s00705-009-0486-6. Bag, S., K.L. Druffel, T. Salewsky, and H.R. Pappu. 2009. Nucleotide sequence and genome organization of the medium RNA of Iris yellow spot virus (genus Tospovirus, family Bunyaviridae) from the United States. Archives of Virology 154:715-718. Bag, S., and H.R. Pappu. 2009. Symptomatology of Iris yellow spot virus in selected indicator hosts. Plant Health Progress. doi:10.1094/PHP-2009-0824-01-BR. Bag, S., P. Rogers, R. Watson, and H.R. Pappu. 2009. First report of natural infection of garlic (Allium sativum) with Iris yellow spot virus in the United States. Plant Disease 93:839. Bag, S., J. Singh, R.M. Davis, W..Chounet, and H.R. Pappu. 2009. Iris yellow spot virus in Nevada and Northern California. Plant Disease 93:674. Pappu, H.R., and K.L Druffel. 2009. Use of conserved genomic regions and degenerate primers in a PCR-based assay for the detection of members of the genus Caulimovirus. Journal of Virological Methods 157:102–104. Evans, C.K., S. Bag, E. Frank, J. Reeve, C. Ransom, D. Drost, and H.R. Pappu. 2009. Natural infection of Iris yellow spot virus in Twoscale saltbush (Atriplex micrantha) growing in Utah. Plant Disease 93:430. Sampangi, R., C. Almeyda-Beccarra, K.L. Druffel, S. Krishna Mohan, and H.R. Pappu. 2009. First report of natural infection of Penstemon acuminatus with Cucumber mosaic virus. Plant Disease 93:762. Samuitiene, M., M. Navalinskiene, S.G. Eid, and H.R. Pappu. 2009. Dahlia mosaic-associated caulimoviruses in dahlia (Dahlia variabilis) in Lithuania. Plant Health Progress Online.doi:10.1094/PHP-2009-0302-01-BR. Gieck, S.L., P.B. Hamm, N.L. David, and H.R. Pappu, 2009. First Report of Garlic virus B and Garlic virus D in Garlic in the Pacific Northwest. Plant Disease 93:431. Evans, C.K., S. Bag, E. Frank, J. Reeve, C. Ransom, D. Drost, and H.R. Pappu. 2009. Green foxtail (Setaria viridis), a naturally infected grass host of Iris yellow spot virus in Utah. Plant Disease 93:670. Pahalawatta, V., K.L. Druffel, and H.R. Pappu. 2008. A new and distinct species in the genus Caulimovirus exists as an endogenous plant pararetroviral sequence in its host, Dahlia variabilis. Virology 376:253-257. Pappu, H.R., K.L. Druffel, R. Miglino, and A. R. van Schadewijk. 2008. Nucleotide sequence and genome organization of a new and distinct caulimovirus associated with dahlia mosaic. Archives of Virology 153:2145–2148. Segwagwe, A.T., M.L. Putnam, K.L. Druffel, H.R. Pappu, and K.C. Eastwell. 2008. Molecular characterization of a new tymovirus from Diascia ornamental plants. Archives of Virology 153:1495–1503. Pappu, H.R., and M.E. Matheron. 2008. Characterization of Iris yellow spot virus from onion in Arizona. Plant Health Progress. doi:10.1094/PHP-2008-0711-01-BR. Pappu, H.R., B.C. Hellier, and F.M. Dugan. 2008. Evaluation of the National Plant Germplasm System’s Garlic Collection for Seven Viruses. Plant Health Progress doi:10.1094/PHP-2008-0919-01-RS. Pappu, H.R., K.L. Druffel, and K.C. Eastwell. 2008. Canna yellow mottle virus in Canna in Washington State. Plant Disease 92:1136. Krishnareddy, M., R. Usha Rani, Anil Kumar, K. Madhavi Reddy and H.R. Pappu. 2008. First Report of Capsicum chlorosis virus (Genus Tospovirus) infecting Chili Pepper (Capsicum annuum) in India. Plant Disease 92:1469. Pahalawatta, V., K.L. Druffel, S.D. Wyatt, K.C. Eastwell, and H.R. Pappu. 2008. Genome structure and organization of a novel and distinct species of genus Caulimovirus (Family Caulimoviridae) associated with dahlia mosaic (pdf). Archives of Virology 153:733-738. Huchette, O., C. Bellamy, R. Filomenko, B. Pouleau, S. Seddas, and H.R. Pappu. 2008. Iris yellow spot virus in Shallot and Onion in France. Plant Health Progress doi:10.1094/PHP-2008-0610-01-BR. Pappu, H.R., K.R.W. Hammett, and K.L. Druffel. 2008. First report of Dahlia mosaic virus and Tobacco streak virus in dahlia (Dahlia variabilis) in New Zealand. Plant Disease 92:1138. Mandal, B., A.S. Csinos, N. Martinez-Ochoa, and H.R. Pappu. 2008. A highly efficient and high throughput inoculation method for Tomato spotted wilt tospovirus. (pdf) J. Virological Methods 149:195-198. Mandal, B., S. Mandal, A.S. Csinos, N. Martinez, A.K. Culbreath and H.R. Pappu. 2008. Biological and molecular analyses of the acibenzolar-S-methyl-induced systemic acquired resistance in flue-cured tobacco against Tomato spotted wilt virus. (pdf) Phytopathology 98:196-204. Pappu, H.R., I.M. Rosales, and K.L. Druffel. 2008. Serological and molecular assays for rapid and sensitive detection of Iris yellow spot virus (Genus Tospovirus, Family Bunyaviridae) infection of bulb and seed onion crops. (pdf) Plant Disease 92: 588-594. Hoepting, C.A., J. Allen, K. Vanderkooi, M. Hovius, H.R. Pappu, and M.R. McDonald. 2008. First Report of Iris yellow spot virus on Onion in Canada. (pdf) Plant Disease 92:318. Miglino, R., A. Jodlowska, H.R. Pappu, and A.R. van Schadewijk, A. R. 2007. A highly sensitive and semi-automated method for genus-wide and species-specific detection of plant viruses of ornamental bulb crops (pdf). J. Virological Methods 146:155–164. Pappu, H.R., and K.L. Druffel. 2007. First report of Streptocarpus flower break virus in the United States (pdf). Plant Disease 91:1361. Sampangi, R.S., S. Krishna Mohan, and H.R. Pappu. 2007. New weed hosts of Iris yellow spot virus. (pdf) Plant Disease 91:1683. Poole, G.J., H.R. Pappu, R.M. Davis, and T.A. Turini. 2007. Increasing outbreaks and impact of Iris yellow spot virus in bulb and seed onion crops in the Imperial and Antelope Valleys of California (pdf). Plant Health Progress. doi:10.1094/PHP-2007-0508-01-BR. Mandal, B., M.L. Wells, N. Martinez-Ochoa, A.S. Csinos, and H.R. Pappu. 2007. Symptom development and distribution of Tomato spotted wilt virus in flue-cured tobacco. (pdf) Annals of Applied Biology 151: 67-75. Pahalawatta, V., R. Miglino, K.L. Druffel, A. Jodlowska, A. R. van Schadewijk, and H.R. Pappu. 2007. Incidence and relative distribution of distinct caulimoviruses (Genus Caulimovirus, Family Caulimoviridae) associated with dahlia mosaic in Dahlia variabilis (pdf). Plant Disease 91:1194-1197. Gieck, S.L., H.R. Pappu, P.B. Hamm and N.L. David. 2007. First report of Onion Yellow Dwarf Virus, Leek Yellow Stripe Virus, and Garlic Common Latent Virusin garlic in Oregon. (pdf) Plant Disease 91:461. Nischwitz, C., H.R. Pappu, S.W. Mullis, A.N. Sparks, D.R. Langston, A.S. Csinos, and R.D. Gitaitis. 2007. Phylogenetic analysis of Iris yellow spot virus isolates from onion (Allium cepa) in Georgia and Peru (pdf). J. Phytopathology 155:531-535. Schwartz, H.F., K. Otto, and H. R. Pappu. 2007. First report of Iris yellow spot virus in commercial leek (Allium porrum L.) in the United States (pdf). Plant Disease91:113. Pahalawatta, V., K. Druffel and H.R. Pappu. 2007. Seed transmission of Dahlia mosaic virus in Dahlia pinnata (pdf). Plant Disease 91:88-91. Hoepting, C.A., H.F. Schwartz, and H.R. Pappu. 2007. First report of Iris yellow spot virus in onion in New York (pdf). Plant Disease 91:327. Miller, M, R. Saldana, M. C. Black, and H.R. Pappu. 2006. First report of Iris yellow spot virus on onion (Allium cepa) in Texas (pdf). Plant Disease 90:1359. Mandal, B., H.R. Pappu, A.S. Csinos, and A.K. Culbreath. 2006. Response of peanut, pepper, tobacco, and tomato cultivars to two biologically distinct isolates of Tomato spotted wilt virus (pdf). Plant Disease 90:1150-1155. Pappu, H.R., L.J. du Toit, H.F. Schwartz and K. Mohan. 2006. Sequence diversity of the Nucleoprotein gene of Iris yellow spot virus (genus Tospovirus, family Bunyaviridae) isolates from the western region of the United States (pdf).Archives of Virology 151:1015-1023. Pappu, H.R., B.C. Hellier and F.M. Dugan, 2006. Wild Allium spp as natural hosts of Iris yellow spot virus (pdf). Plant Disease 90:378. Rosales, M., H.R. Pappu, L. López, R. Mora and A. Aljaro. 2005. Iris yellow spot virus in onion in Chile (pdf). Plant Disease 89: 1245. Pappu, H.R., B.C. Hellier and F.M. Dugan, 2005. First report of Onion yellow dwarf virus, Leek yellow stripe virus and Garlic common latent virus in garlic in Washington State (pdf). Plant Disease 89: 205. Pappu, H.R., S.D. Wyatt, and K. Druffel. 2005. Dahlia mosaic virus: Molecular detection and distribution in dahlia in the United States (pdf). HortScience 40: 697-699. Crowe, F., and H.R. Pappu. 2005. Outbreak of Iris yellow spot virus on onion in seed crops in central Oregon (pdf). Plant Disease 89:105. Riley, D.G. and H. R. Pappu. 2004. Tactics for Management of Thrips (Thysanoptera: Thripidae) and Tomato spotted wilt virus in tomato (pdf). Journal of Economic Entomology 97:1648-1658.
du Toit, L.J., H. R. Pappu, K. L. Druffel, and G. Q. Pelter. 2004. Iris yellow spot virus in onion bulb and seed crops in Washington State (pdf). Plant Disease 88:222. Yang, H., P. Ozias-Akins, A. K. Culbreath, D. W. Gorbet, J. R. Weeks, B. Mandal and H. R. Pappu. 2004. Field evaluation of Tomato spotted wilt virusresistance in transgenic peanut (pdf). Plant Disease 88: 259-264. Díaz-Pérez, J.C., K. D. Batal, D. Granberry, D. Bertrand, D. Giddings, and H.R. Pappu. 2003. Growth and yield of tomato plastic film mulches as affected by Tomato spotted wilt virus. HortScience 38:395-399. McPherson, R.M., D.C. Jones, H.R. Pappu, and J.M. Moore. 2003. Reducing the risks of Tomato spotted wilt virus in tobacco with selected thrips control practices. J. Agric. Urban Entomol. 11-23. Mandal, B., H. R. Pappu, A. K. Culbreath, C. C. Holbrook, D. W. Gorbet and J. W. Todd. 2002. Differential response of selected peanut genotypes to mechanical inoculation by Tomato spotted wilt virus. (pdf) Plant Disease 86: 939-944. Providing diagnostics for growers and county faculty for a wide range of viruses of vegetables, small grains, legumes, and ornamentals. Develop print and electronic educational and informational materials for stakeholders, delivers talks at stakeholder meetings of vegetables/legumes and ornamentals. Annual meeting of the Idaho-Eastern Oregon Onion Growers Association. Ontario, OR. February 6, 2007. “Managing Iris yellow spot virus epidemics in bulb and seed onion crops”. Annual meeting of the Pacific Northwest Vegetable Association. Pasco, WA. November 17, 2007. “An update on thrips and Iris yellow spot virus”. Annual meeting of the American Dahlia Society, September 5-9, 2007, St. Charles, IL. “Increasing diversity of viruses in dahlia and the implications for diagnosis and management”. Annual meeting of the Pacific Northwest Vegetable Association. Pasco, WA. November 17, 2006. “Iris yellow spot virus: An update”. National meeting of the American Dahlia Society, Seattle, WA. August 26-29, 2004. Presented a paper, “Diagnosis and management of viruses of dahlia”. Annual meeting of the Pacific Northwest Vegetable Association. Pasco, WA. November 17, 2004. “Iris yellow spot virus on onions: Current status in Pacific Northwest and management options”. Pappu, H.R. 2009. Symptoms of Hosta virus X on hosta (pdf). Image of the Week. www.apsnet.org. American Phytopathological Society, St. Paul, MN. http://www.apsnet.org/online/Archive/2009/IW000090.asp. Pappu, H.R. 2004. A pictorial guide to symptoms and diagnosis of dahlia mosaic in dahlia (pdf). Bulletin of the American Dahlia Society, December 2004. Schwartz et al., 2011. Onion Diagnostic Cards (pdf). Provided by Onion PIPE, a project supported by USDA NIFA Specialty Crops Research Initiative. Pappu, H.R. 2000. Tomato spotted wilt virus on pepper. APSnet ‘Image of the Week’. Dr. Aflaq Hamid, Assistant Professor, J & K University of Science and Technology, SriNagar, J&K, India. Sept 2016 to Sept 2017. Dr. Gaurav Raikhy, Post-doctoral Associate, Sept 2012 to Nov 2015. Dr. SV. Ramesh, Principal Scientist, National Center for Soybean Research, Indore, India. Sept. 2013 to Sept. 2014. Dr. Eldar Mustafayev, Assistant Professor, Azerbaijan Academy of Sciences, Baku, Azerbaijan. Sept to Dec 2013. Dr. Suresh Gawande, Principal Scientist, National Research Center for Onion and Garlic, Pune, India. Sept to Dec 2013. Ms. Romana Iftikhar, PhD student, National Institute of Biotechnology and Genetic Engineering, Faisalabad, Pakistan. November 2013 to April 2014. Dr. Vikas Koundal, Post-doctoral Associate, June 2010 to May 2012. Dr. Pawan Kumar Sharma, Senior Scientist, ICAR Research Complex for the NEH Region, Imphal, Manipur, India. November 2010 to May 2011. Dr. Neena Mitter, Principal Biotechnologist, Department of Primary Industries, and University of Queensland, Brisbane, Australia. November 2009. Dr. N. Manickam, Scientist-EI, Environmental Biotechnology Section, Industrial Toxicology Research Centre, Lucknow, India. 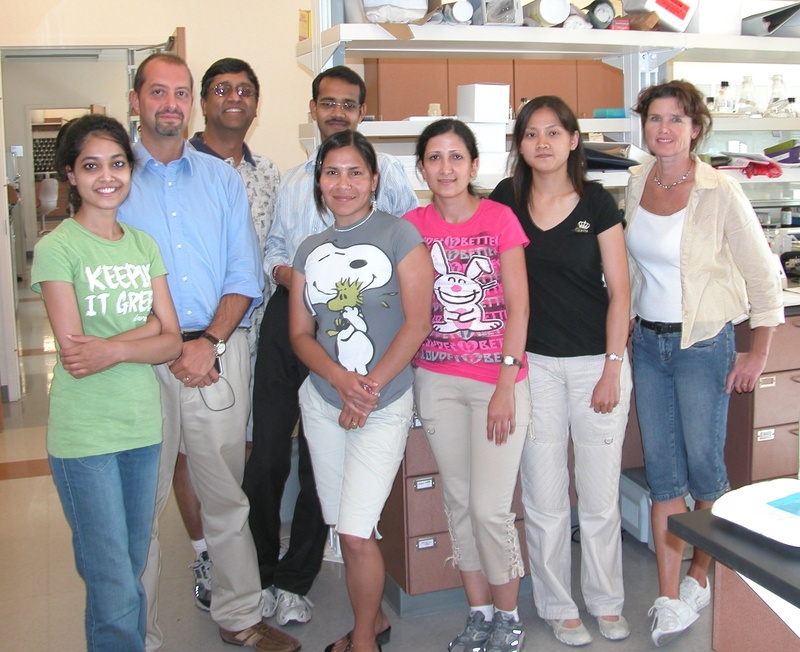 July-August, 2009, on a Norman Borlaug Fellowship. Dr. R. Kannan, Associate Professor (Plant Pathology), Department of Plant Protection, Agricultural College and Research Institute, Killikulam, Tamil Nadu, India, January 2009. Dr. Roberto Miglino, Dutch Bulb Inspection Serivce, Lisse, The Netherlands, August 2008. Mr. Joaquin Diaz, Staff Scientist, Mexican Department of Agriculture, August 2007. Dr. Marlene Rosales, Staff Scientist, Instituto de Investigaciones Agropecuarias, Centro Regional de Investigación La Platina, Santiago, Chile. September 2005. Dr. Celia Chalam, Staff Scientist, National Bureau of Plant Genetic Resources, New Delhi, India. October to December 2003. Dr. Bikash Mandal, Senior Scientist, Indian Agricultural Research Institute, New Delhi, India May, 2000 to April 2002. Dr. A. Wangai, Staff Scientist, Kenyan Agricultural Research Institute, National Plant Breeding Research Center, Njoro, Kenya (Fulbright Fellow) September 1998 to September 1999. Dr. A.I. Bhat, Junior Scientist, Division of Plant Pathology, Indian Agricultural Research Institute, New Delhi, India; April 1998 to April 1999. Dr. R.K. Jain, Head, Division of Plant Pathology, Indian Agricultural Research Institute, New Delhi, India. January 1997 to January 1998. Mr. Hong-Soo Choi, Staff Scientist, Plant Pathology Division, Dept. of Crop Protection, National Institute of Agricultural Science and Technology, Suwon, Republic of Korea November-December, 1998). USDA-CSREES Western Region IPM Center, USDA-CSREES Specialty Crops Research Initiative, USDA-CSREES Critcial and Emerging Issues Program, USDA-FAS, USDA-RAMP, USDA Northwest Nursery Crop Research Center, W-SARE, WSU Agricultural Research Center, WSU Office of Research, WSU Office of International Programs, American Dahlia Society, Washington State Potato Commission, Washington Wheat Commission, Washington State Commission for Pesticide Registration, Pacific Northwest Vegetable Association, Columbia Basin Vegetable Seed Association, California Garlic and Onion Research Advisory Board, Nevada Onion Commission, and the Idaho State Department of Agriculture, Nursery and Florist Advisory Committee/Idaho Nursery & Landscape Association. Viruses and Virus Diseases of Plants – PlP511. 4 credits. An extensive and intensive overview of the nature of plant viruses including taxonomy, classification, disease induction, economic impact, plant-virus interactions, transmission, genome structure and organization, ecology, epidemiology and control. Cross-listed with University of Idaho (PlSc 511). Offered spring semester of odd years. Molecular Genetics of Plant Pathogen Interactions – PlP 535. 3 credits. Genetic and molecular biological aspects of host-pathogen interactions. Team taught course. Cross-listed with University of Idaho (PlSc 535). Offered spring semester of even years. General Plant Pathology – PlP 429. 3 credits. Classification, symptoms, causes, epidemiology, and control of plant diseases. Team taught (with Dr. Tim Murray). Offered every fall semester. Systems Skills Development for Agricultural and Food Systems – AFS 201. 3 credits. AFS 201 is designed to support students in developing a scientific-based understanding of issues related to integrated agricultural and food systems, while acquiring a set of interpersonal communication skills that allows them to have well informed, broad-based, effective discussions with diverse stakeholders groups about complex issues. Team taught with Drs. Larry Fox and Kevin Murphy. Offered every spring semester. Biotechnology and Social Change. SOCI 4490. 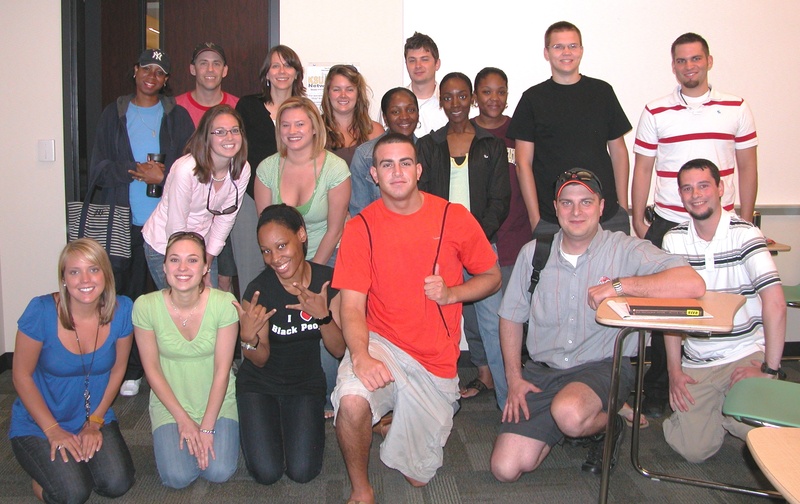 Department of Sociology, Kennesaw State University, Kennesaw, GA.
Undergraduate course offered every year in May (Maymester). Invited guest lectures on principles and practice of biotechnology for crop improvement. Two modules of three hours each.